"Mama, I Have to Learn to Read"
In observance of Black History Month my grandson's elementary school is asking for book donations. For me, the only question is which ones shall I give? I've been collecting picture books about Booker T. Washington and Julius Rosenwald ever since I started research for my book. I have some good ones! I can't part with any of them but I have already ordered copies. 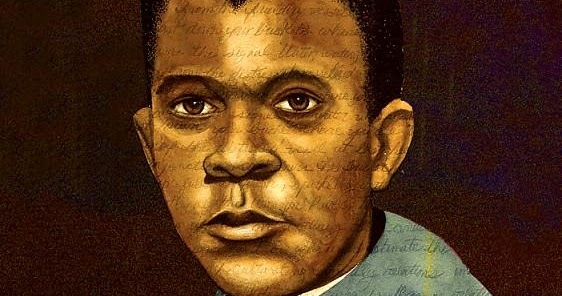 Fifty Cents and a Dream is the story of Booker T. Washington's life and work and it retells one of my favorite stories from his childhood (as he recounted it in his memoirs). When he was a child, enslaved on a small Virginia farm, one of Booker's jobs was to ride on horseback with his owner's daughter to her job as a teacher at a small school and then to bring the horse back so it could spend the day working in the fields. Booker tells about how each morning he would get off the horse, go up to the schoolhouse and stand on tip toes to look through the window so he could see the children inside. There they sat with slates and books and an attentive teacher. Booker thought it looked like "paradise" but he knew that, for him, it wasn't allowed. This book, eloquently written by Jabari Asim, beautifully illustrated by Bryan Collier, takes Washington to Hampton Institute where he got the education he had dreamed of and began his career as a teacher and leader. More Than Anything Else sensitively told by Marie Bradby and with lovely images by Chris K. Soentpiet is short and compelling and deals with another story about Booker as a child. This book picks up after emancipation when Booker and his family have left the farm in Virginia where they were enslaved and moved to a salt mining town in West Virginia. There Booker sees a sight that amazes him -- a man, a black man, reading aloud from a newspaper as people crowd around him to hear what he is saying, to hear the news that he is reading. Booker knows that the longing inside himself that he feels is for that -- to BE that man, understanding written words, telling people things they need to know. His life's course is set. He WILL learn to read and he will help others. 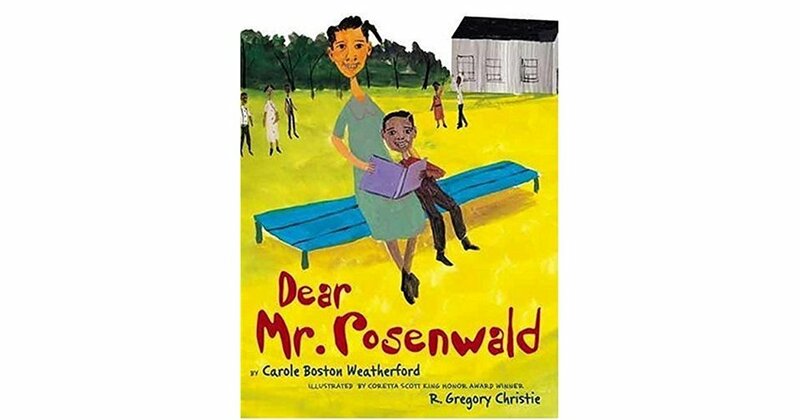 And then there is Dear Mr. Rosenwald by Carole Boston Weatherford, the author of many wonderful children's books, gloriously illustrated by R. Gregory Christie, another gifted artist. Written in the first person, this book tells the story of the creation of a Rosenwald school from the perspective of a child. It starts in 1921. The young narrator, Ovetta, goes to a tumbledown school with a leaky roof and often has to miss class to help her family pick cotton. "Harvest break -- just when I memorized the times tables. Instead of learning long division, I'll be working in the field." But then her Uncle Bo comes to dinner and tells her Mama and Daddy that there is going to be a meeting at the church and folks are talking about a new school. At the new school rally Ovetta's parents hear about Booker T. Washington, who thought there weren't enough schools for African American children, and about Julius Rosenwald, the president of Sears, Roebuck, who "has millions and believes in sharing." Before they know it, "Everyone in church stood, clapping. How on earth will poor people find money to give away?" The book answers that question -- the church deacons give land for the new school, Mama donates pies to the Box parties where Daddy plays the harmonica. Uncle Bo talks to folks about taking up a collection. At a church service Miss Etta Mae speaks and tells that she was born a slave and "never had time for book-learning." She gives a dollar she had been saving for her burial and says, "Hurry and build that school so I can read my Bible." It happens! White Oak school opens. The crowd of neighbors and parents and children sings "Lift Ev'ry Voice," Uncle Bo introduces the new teacher and then Ovetta makes a little speech. "Thank you, parents and neighbors," she says, "for building this brand-new school. Your sweat taught us a lesson. Tomorrow is in our hands." These books are so beautiful and the stories they tell are so inspiring. I hope the children at Miner Elementary school here in Washington, DC will enjoy them. I will certainly make a point of reading them to my grandsons -- to Julius, named for his great-great-great grandfather Julius Rosenwald, and to Leon, named for my father, and to Arlo and William and Harvey. They all need to know these stories.